So the Nico Nico Live Broadcast by GSC dubbed as “Hatsune Miku no Jikan” has been broadcasted earlier. There are a couple of Miku stuff there, but we are going to focus to the Nendoroid Snow Miku: 2014 version first. 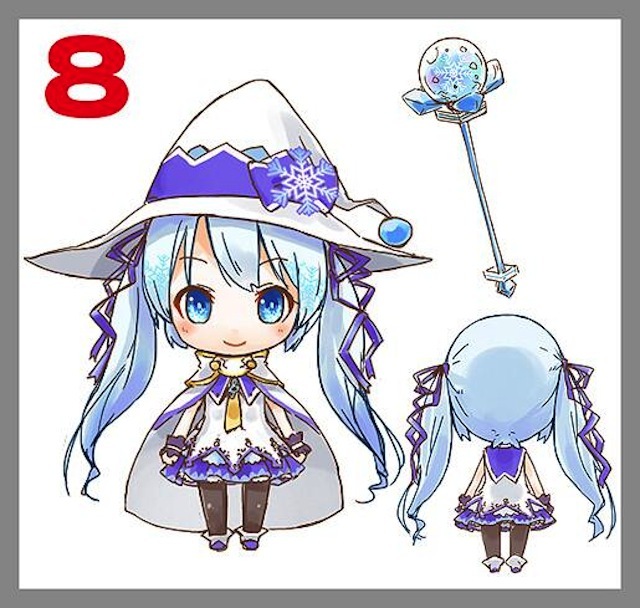 As you may have known, the live broadcast also served as an election to choose the base design for next year’s Nendoroid Snow Miku. In the end of the live election session, design #8 got the most votes there. Well, what do you think about the design, Nendonesian? This entry was posted in News and tagged hatsune miku, nendoroid, snow miku, vocaloid. Reblogged this on Living With The Reckless Ones. oh yes yes 😀 total approval! I missed the voting, but I’m so happy that the one I would have voted for was chosen. 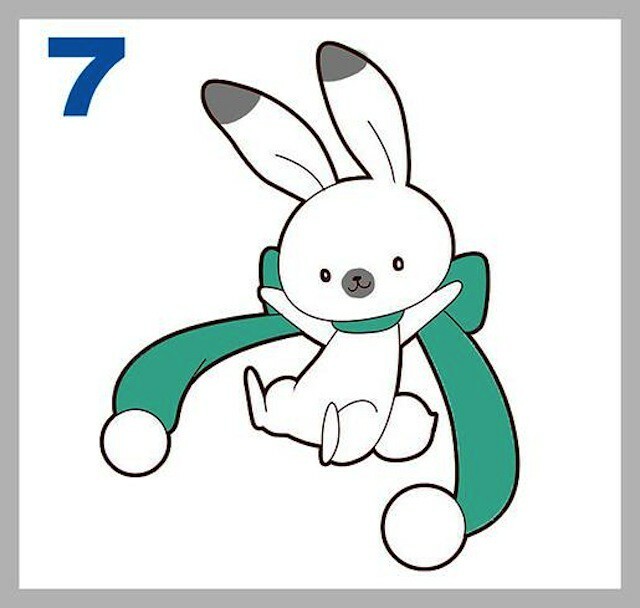 And the rabbit is super cute! I had hoped that the pet would be the Sorbet Bear. He was such a cute and original design. As for Miku’s design, this one would’ve been my second choice.